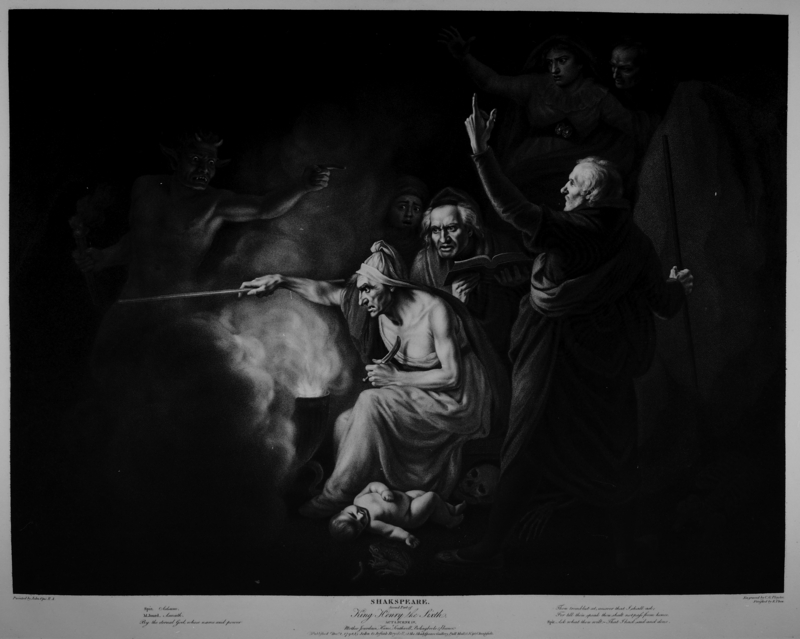 Painted by John Opie R.A.
Engraved by C. G. Playter, Finished by R. Thew. M.Jourd. Asmath. / By the etermal God, whose name and power / Thou tremblest at, answer that I shall ask; / For till thou speak thou shall not pass from hence. Spir. Ask what thou wilt. That I had said and done.